The women of Nonnatus House will return. This week, Digital Spy reports that the BBC has renewed their period drama Call the Midwife for a sixth season. The news comes weeks before the series’ Christmas special and before the fifth season has even begun to air in 2016. 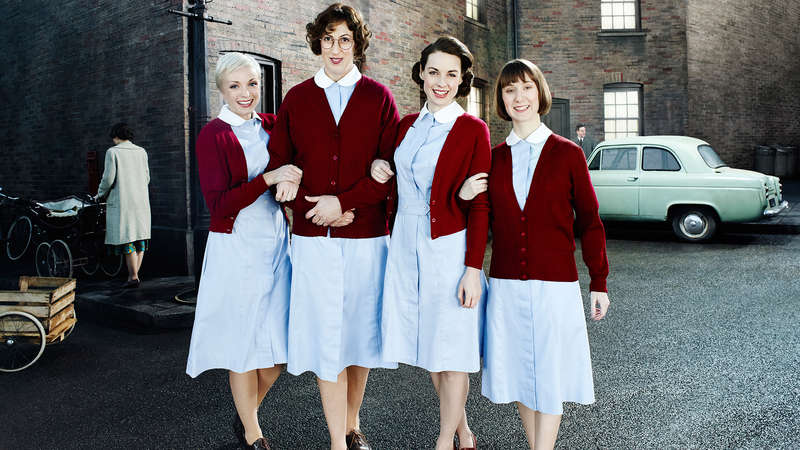 Call the Midwife stars Miranda Hart, Jenny Agutter, Pam Ferris, and others as midwives and nuns serving the poor residents of London’s East End during the middle of the 20th century. The series airs on PBS in the United States. The Christmas special episode will air on PBS on December 25th. What do you think? Do you watch Call the Midwife? Will you tune in for the Christmas special? More about: BBC TV shows: canceled or renewed?, Call the Midwife, Call the Midwife: canceled or renewed? I love this show. I binged on it while I had the Flu. Can hardly wait for Season 6. I missed the Christmas Special. Had I known it was on, I would not have missed it. This show is a winner in my book, and one that I would dearly miss if it should be cancelled. Beautiful show! I will watch season 6 and am so glad it’s been extended. Just give me another six seasons, please! I adore this show ! I’m on pins and needles for season 6 !! See you soon girls ! I adore this show ! I just binge watched Seasons 1 – 5 ! I can’t wait for Season 6, Please keep this show on the air. I live here in America and I look forward to each and every show, the cast is fantastic !! Jessica Raine left the show over a season ago. She wasn’t in Season 4. I love Call the Midwife! Yes i will watch the Christmas show, season 5 and 6th also! !